Ms. Hao joined Liu, Shen & Associates in 2012. She specializes in translating patent applications, responding to Office Actions and composing of patent applications with a focus on machining; mechanical engineering; material science and engineering; carbon nano-materials. Ms. Hao had a master's degree from Tsinghua University in 2003, and had a bachelor’s degree from Science and Technology University, Beijing. Ms. Hao joined Liu＆Shen Associates in 2003. She is in charge of new application, office action, reexamination, drafting of specification; main clients she worked for: Siemens AG (Automation, Medical device, Energy, etc. ), Voith, and many other German Patent Office. Ms. Hao became a qualified patent attorney in 2003. The cases she has handled related to mechanical-electrical engineering, automobile engineering, medical devices, thermal energy technology. Ms. Hao had a Bachelor degree in Mechanical Manufacture and Automation fromTongjiUniversity. And she worked as Mechanical Engineer in Beijing Construction Materials Group from July 1990 to January 2003. In charge of the design and develop of the mechanical devices, products and moulds. 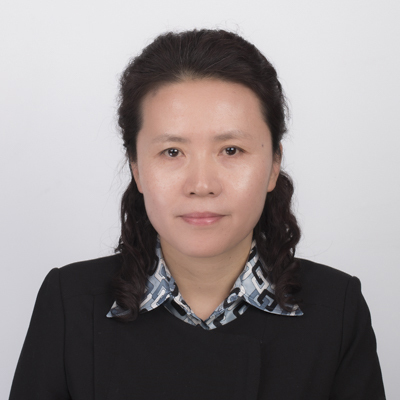 Ms. Hao joined Liu, Shen & Associates in 2008 as a registered patent agent and an attorney at law. Her practice involves patent prosecution in a variety of fields with a focus on mechanical technologies. She is also involved in patent invalidation and IP litigation, and regularly advises clients ranging from individual inventors to large, established corporations on matters relating to patent prosecution, patent validity, infringement and enforcement. Before joining the firm, Ms. Hao gained extensive experience in mechanical design and material processing while working as a graduate research assistant in Tsinghua University collaborating with Mitsubishi Heavy Industries, Japan. Ms. Hao also has an LL.M degree from York University in International Business Law. Main clients Ms. Hao works with include: Dyson, Schneider, Valeo, P&G, GE and Yamaha. Ms. Changhong HE joined Liu, Shen & Associates since 2008. Practice area: prosecution and enforcement of trademark rights, including new application, review, opposition, invalidation and litigation regarding trademarks, consultation regarding copyright, Customs protection of IP rights and domain name. Ms. Wei He joined Liu, Shen & Associates in August 2008, and now she works in the Chemistry Department of the firm. Ms. He's work includes providing comments on how to respond to Office Action, Final Rejection, Notification of Reexamination and Decision of Reexamination, drafting new applications, as well as providing a third-party opinions. She is also good at the practice of new application outside China, such as in US and EP etc. Besides, she has also participated in the analysis of several invalidation trials. Ms. He's practice areas involve small molecule pharmacy, formulations, medical devices, hygienical articles, argrochemistry, biopharmacy, cosmetology product, food, health care products, high molecule chemistry, and, oil industry. Ms. He got her Bachelor's degree in Pharmaceutical Engineering from Shenyang Phamaceutical University in 2002, and her Master's degree in Phamacochemistry from Peking Union Medical College in 2005. Before entering Liu Shen, she worked in Jeekai Parters. Ms. He is very serious about work, and is hard-working. She is service-minded and has intuition of patent. Mr. He joined Liu, Shen & Associates in 2006. He specializes in patent prosecution, re-examination, patent invalidation with a focus on metal material engineering, mechanical engineering, welding techniques and apparatus. Mr. He got his qualification as an attorney in 2010. He has participated in patent drafting, prosecution, patent invalidation and pre-litigation analysis, and client counseling in the firm. Mr. He had a bachelor degree majoring in metal material engineering from Tianjin University in 2003, and a master degree majoring in metal material engineering from Haerbin Institution of Technology in 2005. Mr. He is experienced in patent drafting, prosecution, patent invalidation and pre-litigation analysis etc, and used to deal with a plenty of Chinese patent applications of YAMAHA and GM. He had received many training programs organized by the All-China Patent Agents Association，and attended a Summer School on Intellectual Property in Europe organized by CEIPI in July, 2015. 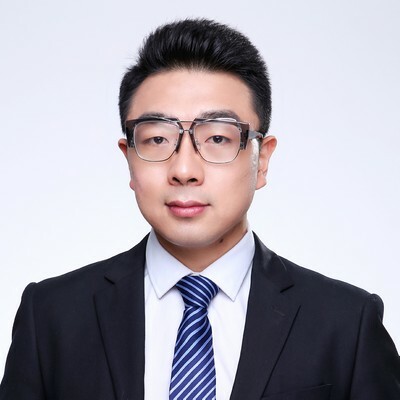 Mr. Hou joined Liu, Shen & Associates in 2006 and was qualified as patent attorney in 2007 and attorney at law in 2009, and now has many years’ experience in the field of IP law inChina. He specializes in patent prosecution, re-examination, patent invalidation, IP litigation, and client counseling with a focus on communication, computer networks, multimedia, electronics, and physics. Mr. Hou has been providing legal opinions in litigation and consultation cases since 2011. In particular, he has worked independently in the fields of standard research, prior art searching, infringement analysis, and invalidation analysis in many cases. He is seasoned in FRAND licensing/infringement litigation and invalidation proceedings of standard-related patents, and quickly adapts to new areas and difficult issues. 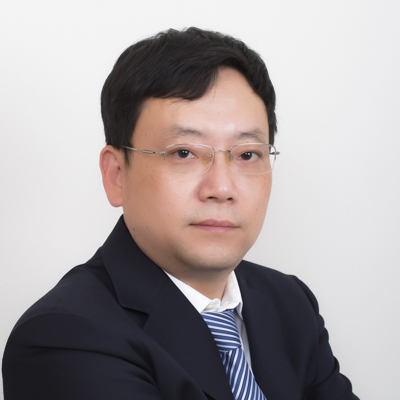 Mr. Hou has extensive experience in patent infringement analysis, including evaluation of relevance of commercial patents with respect to target products, essentiality of communication standard essential patents to standards and specifications, and also validity of patents against prior art references by searching. Mr. Hou received a PhD degree from theUniversityofScienceand Technology of China (USTC) in 2003. Before joining this firm, he had worked as a postdoctoral fellow at USTC for three years. He has had an internship at D Young & Co LLP,UKfrom February to May in 2013. - Wang Jianbo v. Microsoft, patent infringement and patent invalidation, 2008. - Shanghai Ke Dou v. Samsung, patent infringement and patent invalidation, 2015. - Shenzhen, Huawei v. Samsung, patent infringement and patent invalidation, 2016-2018. - Shenzhen, Samsung v. Huawei, patent infringement and patent invalidation, 2016-2018. - Beijing, Samsung v. Huawei, patent infringement and patent invalidation, 2016-2018. - Canton, Samsung v. Huawei, patent infringement and patent invalidation, 2016-2018. - Quanzhou, Samsung v. Huawei, patent infringement and patent invalidation, 2017-2018. - Beijing, Samsung v. Shenzhen Netac, patent invalidation, 2018. - Beijing, Samsung v. Immersion, patent invalidation, 2018. - Shanghai, CCDL v. Wanda Media, patent infringement and patent invalidation, 2018. - “Inventiveness of Invention in Chemical and Bio Technology Fields”, 2014. - “On Swiss‐type Claims”, 2015. - “The contentious monopoly”, Managing Intellectual Property, 2016. Mr. Hou started his IP career in China in 1995 and became a qualified patent attorney in 1996 and got his qualification as an attorney at law in 2000. He is active in areas of technical protective rights, in particular patents and utility models, and has extensive experience in prosecuting patent applications and in enforcing protective rights in invalidation and litigation cases. His special technical interests are, among others, mechanical-electrical engineering, automobile engineering, medical devices, thermal energy technology. Mr. Hou obtained his bachelor degree in Thermal Energy Dynamics & Devices from Faculty of Automotive Engineering of TongJi University and his master’s degree from China University of Political Science and Law majoring in Civil and Commercial Law. Before joining this firm, Mr. Hou worked firstly as a research personnel in R&D center of Beijing ICE(internal combustion engine) company for two years. He received training from Boehmert & Boehmert Lawfirm in Germany and in IP Department of Siemens in Munich. - Voith Paper v. Andritz Paper-invalidation case as well as infringement case(2015). - Article “Status quo and problems analysis regarding IP protection disputes of Chinese enterprises in overseas trade shows” for the Project “IP-Advocacy Center for overseas trade shows” established and run by All-China Patent Agents Association (ACPAA), 2015(see the Project’s working plan, appendix B). Mr. Hou joined Liu, Shen & Associates in July 2016. Mr. Hou specializes in patent drafting, patent prosecution and re-examination, focusing on Telecommunication, Computer Science, Internet Technology, Artificial Intelligence, Big Data Processing, Electronics Engineering, Image Processing. Mr. Hou got his qualification as an attorney at law in December 2017. Mr. Hou received his Bachelor of Electrical Engineering and Automation in 2012 from Beijing Jiaotong University and his Master of Electronic and Electrical Engineering in 2014 from University of Sheffield. Mr. Hou handled a large amount of patent works since he joined Liu, Shen & Associates in 2016, including patent drafting, patent applications, responding office actions for applications in China and PCT applications entering China. Mr. Hou has also handled many other kinds of patent matters, including patent validity analysis, patent Invalidation, pre-litigation analysis, patent mining, and patent counseling for domestic and international companies. - Providing Lenovo with services including patent infringement analysis. 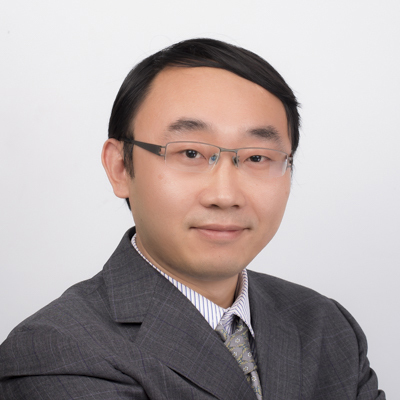 Mr. HU joined Liu, Shen & Associates in 2013 and got his qualification as a patent attorney in 2011. He specializes in patent prosecution, re-examination, patent invalidation, IP litigation, and client counseling with a focus on material science, applied chemistry, metal material, polymer chemistry, as well as chemical engineering. Mr. HU got his qualification as an attorney at law in 2010. She has participated in several patent lawsuits including patent infringement and patent invalidation. Mr. HU had a master's degree from Beihang University in 2008. Before joining this firm, Mr. HU worked as a patent examiner of SIPO from 2008 to 2013. He examined nearly 500 patent applications, and finished more than 10 search reports of PCT applications and utility models. He was elected as a supervisor of new patent examiners in 2011. He involved in patent reexamination, quality control and research, and he was in charge of a research task of patent analysis of piezoelectric ceramics. Ms. Hu joined Liu, Shen & Associates in 2003 and now has more than ten years’ experience in the practice of IP law in China. Ms. Hu obtained the qualification as an attorney at law in 2009 and obtained the qualification as a patent attorney in 2004. Ms. Hu’s current practice mainly focuses on patent prosecution and invalidation in the technical fields of computer technology, telecommunication & Internet, electrical & electronics, semiconductor device, and so on. Ms. Hu also does significant work in counseling clients in various matters relating to intellectual property. Also, Ms. Hu has assisted Chinese applicants in patent application filing and prosecution with foreign patent offices, such as USPTO. Ms. Hu received her Bachelor of Computer technology and application in 2000 and her Master of Computer technology in 2003 from Beijing University of Technology inChina. She received training in US patent prosecution from Scully, Scott, Murphy & Presser PC, New York, in 2007. Ms.Hu has changed her career direction to IP since 2014. She joined Liu, Shen & Associates in 2017. Her career interests include Electronics, Computer Science, Software, Database, Embedded Systems, Internet Technology, and Security Systems. Ms.Hu got her qualifications as a patent attorney and attorney at law in 2016. Ms.Hu graduated with a B.E. degree from Wuhan University in 2003 and M.E. degree 3 years later from Peking University. She worked as a software engineer from 2006 to 2014 in Japan. She is familiar with top-down and agile software development. She mainly used C, C++, C#, Java, Python, jQuery, shell as programming languages. She is skilled in databases such as Oracle, MySQL, PostgreSQL and DB2. She gained certifications like Applied Information Technology Engineer, LPIC 1 (en, both in 2010), Oracle Master Bronze (2012) and OSS-DB Silver (2013).